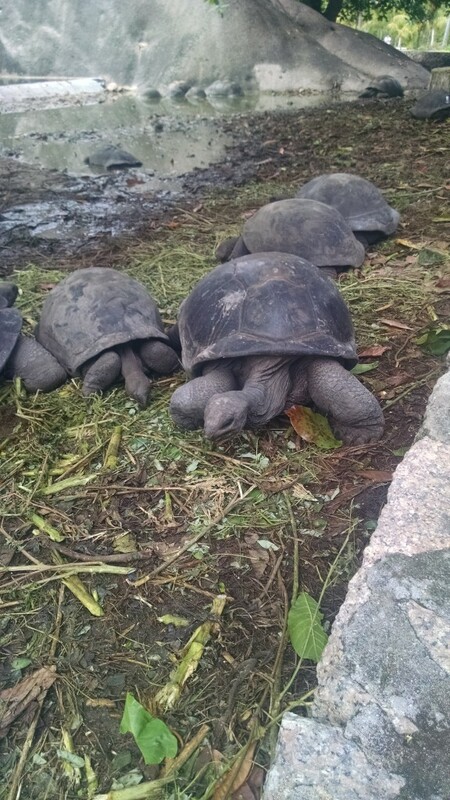 I’d been in Seychelles for a couple of weeks when I started writing this, and the one night I spent on the tiny island has hands-down been the highlight of my trip so far. At just a shade below 4 sq. miles in area, La Digue is one of the smallest populated islands in the world. To get to this paradise, you will either have to make a 2 hour sea-journey from Mahe by catamaran-ferry with a 15-30 minute halt on Praslin, or if you can afford it, fly in a helicopter and land at what is one of the most breath-taking helipads I’ve laid my eyes upon. I never thought I’d come to say this, but I’m afraid with La Digue it has simply been a case of love-at-first-sight. Even before I stepped foot on land, as I saw the pier from the ferry, flanked by its own set of yachty-shippy girlfriends, the island seemed to wink at me, like a seductive incitress. 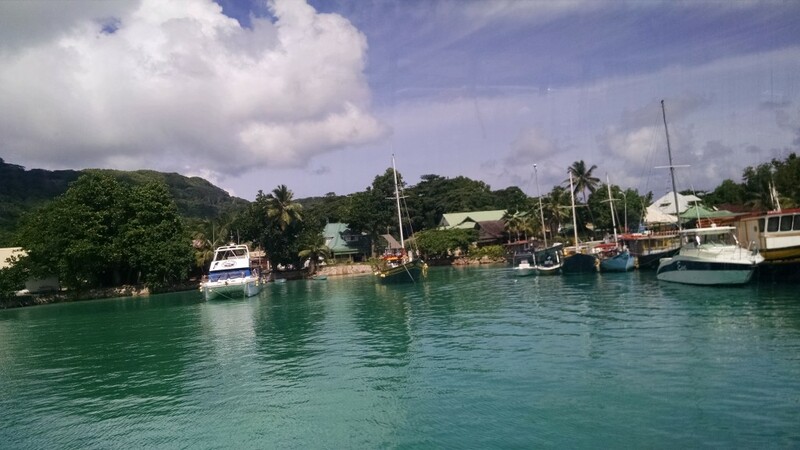 My trip to La Digue had been organised by Mason’s Travels – they operate a whole range of exciting day trips from Mahe Island and I was privileged enough to participate on a couple of their excursions as a press member. Our guide Patricia, fluent in English, French, Creole, Italian & Swahili dealt with a mixed group of English and Italian speakers with much aplomb. It was particularly heartwarming to see her handle the two young kids in our group. One of them particularly fond of her, holding her hand and parading about like a little musketeer as she took us around the tiny isle. 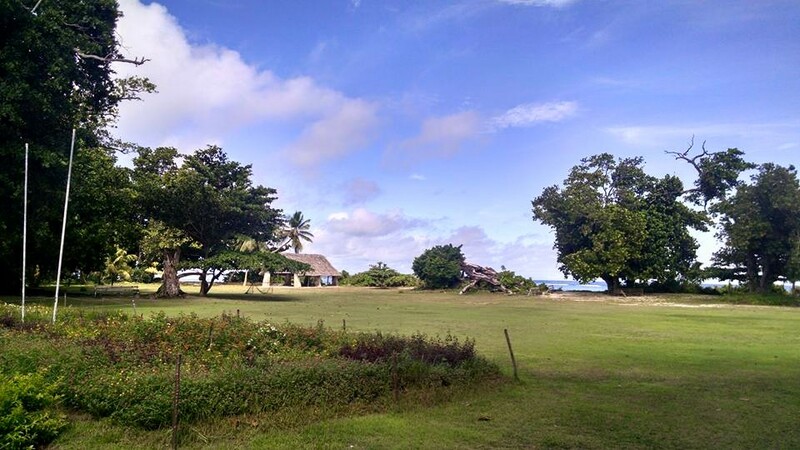 We began at L’Union Estate – the island’s flagship coconut & vanilla plantation. 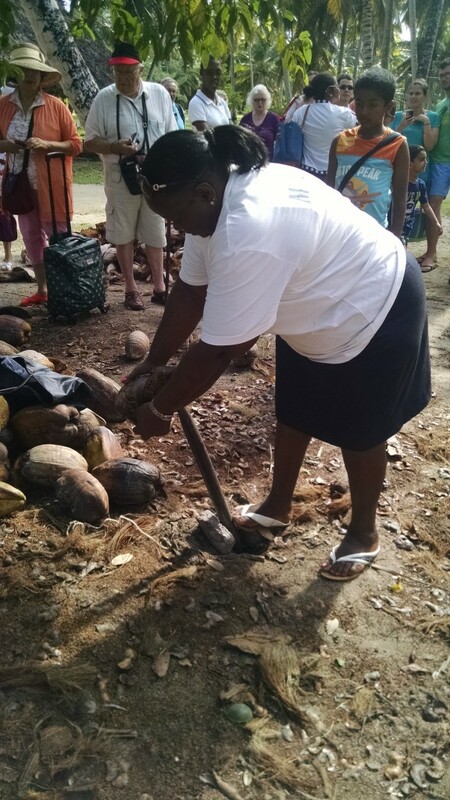 Here, Patricia patiently explained the process of gathering coconut and processing them for oil and other bi-products. 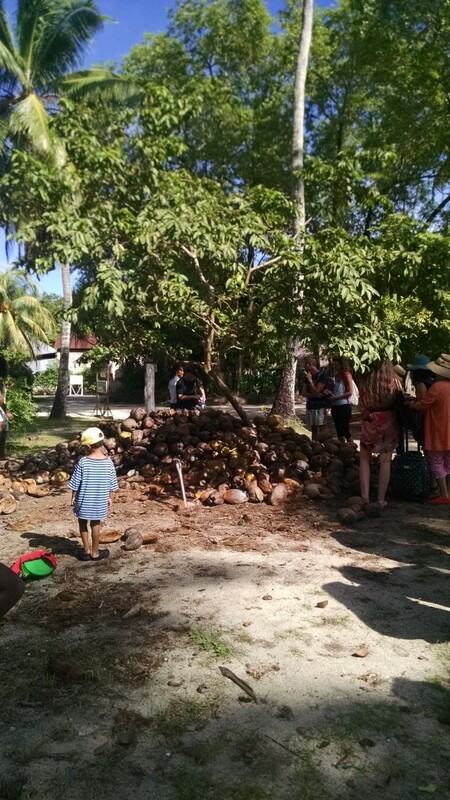 While there’s ample coconut produce in my part of the world, it was intriguing to learn that unlike in India, planters here do not scale the lean coconut trees to pick the fruit; instead, they wait for the coconuts to fall to ground, before collecting and processing them. Views from L’Union Estate! You can see the world’s Most Photographed Beach on the Horizon. Soon, we made our way to the island’s largest claim to fame, Anse Source D’Argent – the beach touted as the most photographed beach on earth, and for good reason. Do you remember those incredible beach pictures you see on travel brochures that trick you into going to mediocre places in Europe & Asia? Those pictures belong here! The word ‘paradise’ is thrown around far too frequently in the travel space, but I’d be damned if somebody wanted to tell me I wasn’t frolicking right in the midst of it. Dotted by granite rocks every now and then that provide for an incredible contrast to the crystal clear water of the turqoise ocean, you can see why couples want to shoot their wedding portfolio here (as was witnessed live by yours beloved). As fate would have it, the scatterbrain in me forgot my swimming trunks in the vehicle and I’d to satisfy myself by sunbathing on its powdery white shores. Every inch of me ached to get into the water & join hundreds of Europeans and a couple of playful dogs that swam and snorkelled about, trying to gaze at the incredible marine life just below the surface. After a good couple hours on God’s own private beach, we then made our way to a pictureque sea-side restaurant for a buffet lunch – a mixture of local Creole, Indian & Italian cuisine. The trip came to a formal close after a couple of hours at another too-good-to-be-true beach in Anse Severe. The rest of my troupe made for the jetty to take the ferry back home, while I prepared myself to catch up with my local host and explore paradise-land on my own, after a much-needed shower; but first, I’d to find myself a ride, and a ride I did find! Wow! So much wonder packed into a very small place! Love the photos and adding this wonderful island to my list of things I want to see! Thanks for sharing! It might be the most photographed beach, but I’d never seen photos of it before–very beautiful! Wish I could book a ticket to Seychelles right now and stay in La Digue forever! Thanks for such informative posts. I am planning to visit Seychelles for my honeymoon next year. I am planning everything myself and had some queries regarding stay and island hopping. Can you share your email id or mail me back so that I can get my queries resolved. Thanks for stopping by. You can email me at sanket@nomadiclives.com with your questions.